‘Since most consultations took place during the winter months, a special focus was on enabling the most disadvantaged members of the local community, such as senior citizens, to attend. Vehicles were provided to those who needed them, and younger community members escorted the elderly. Where possible, the consultations were timed to start after the end of the day’s fishing trips. Time was allocated for the participants to share their problems and concerns. The organisers made sure that all those present were treated respectfully, and efforts were made to reach a consensus. As a result, the meetings turned out extremely long, but people felt that their presence mattered’. 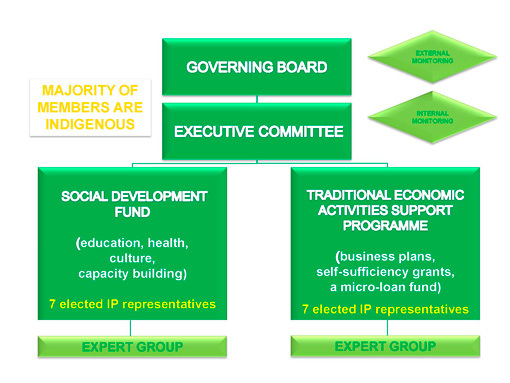 In accordance with the signed Agreement, the Development Plan has been implemented with the active participation of indigenous minorities under the leadership of the Board whose activities are backed up by the Executive Committee, the Traditional Economic Activities Support Programme Committee (TEASP Committee), and the Social Development Fund Council (SDF Council). The Executive Committee (EC) of the Board assists in implementation of the Development Plan in line with the Board recommendations and the Second Development Plan tasks. The EC includes six members, two representatives from each of the three partner organisations. The TEASP Committee and the SDF Council are responsible for making decisions on applicable programmes, and include seven persons from among SIM. 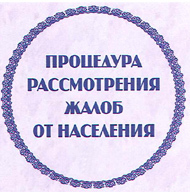 The Committee and the Council are established on the basis of election of SIM representatives from seven municipalities being the places of traditional living and traditional economic activities of SIM: Okha, Nogliki, Tymovsk, Alexandrovsk-Sakhalinsk, Smirnykh and Poronaysk Districts, Yuzhno-Sakhalinsk. The scope of authority of the Committee and Council members is documented by the minutes of meetings held by SIM communities.